By Melissa Lennig on December 13, 2016 Leave a Comment. This content contains affiliate links. As an Amazon Associate I earn from qualifying purchases. 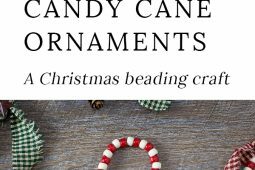 Just in time for the holidays, learn how to make Beaded Candy Cane Ornaments. 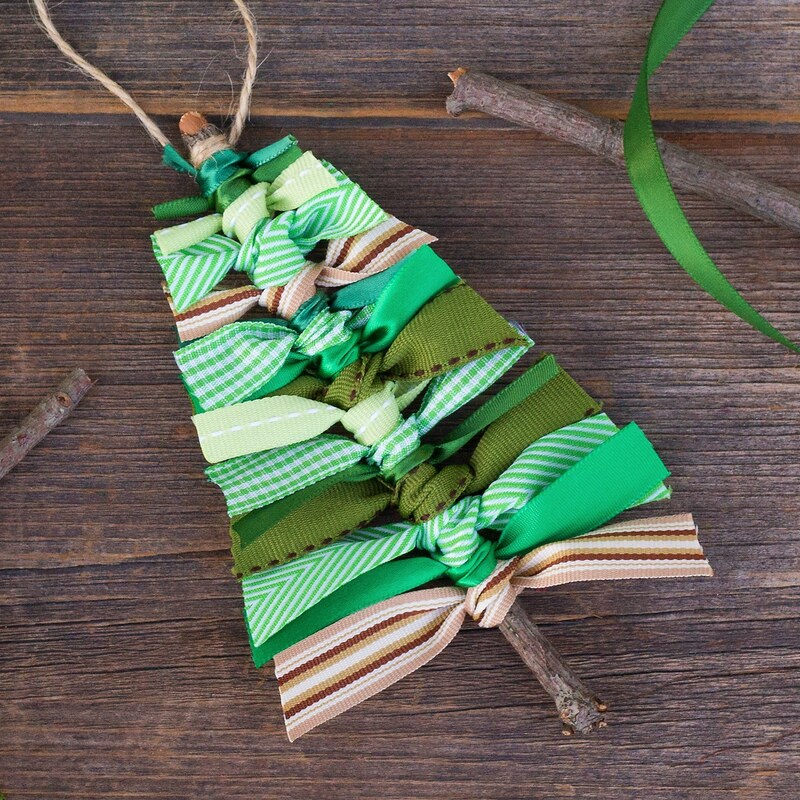 Created with pipe cleaners and beads, give these fun ornaments a primitive twist, making them gift-ready and perfect for your Christmas tree. 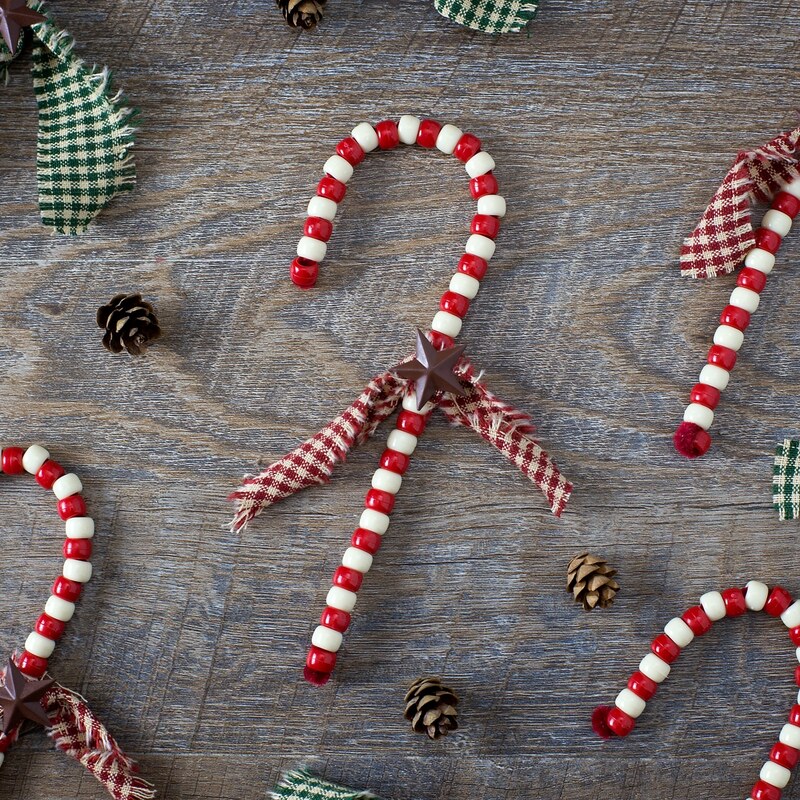 Do you remember making beaded candy cane ornaments in school or scouts as a child? I sure do…they are a classic! 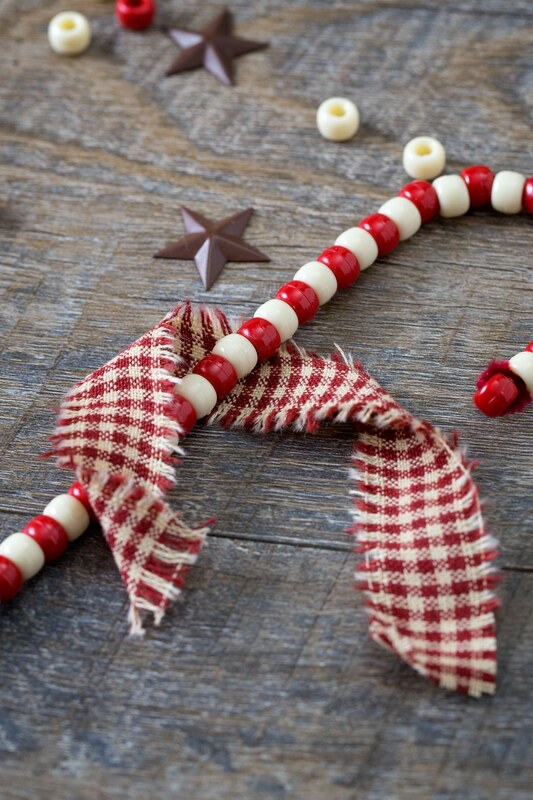 Crafters of all ages will enjoy giving their candy canes a primitive look with the addition of scrap fabric, rustic metal stars, and ivory colored beads. These lovely ornaments look beautiful on the Christmas tree, tied to a present, or tucked into a gift basket. 1. 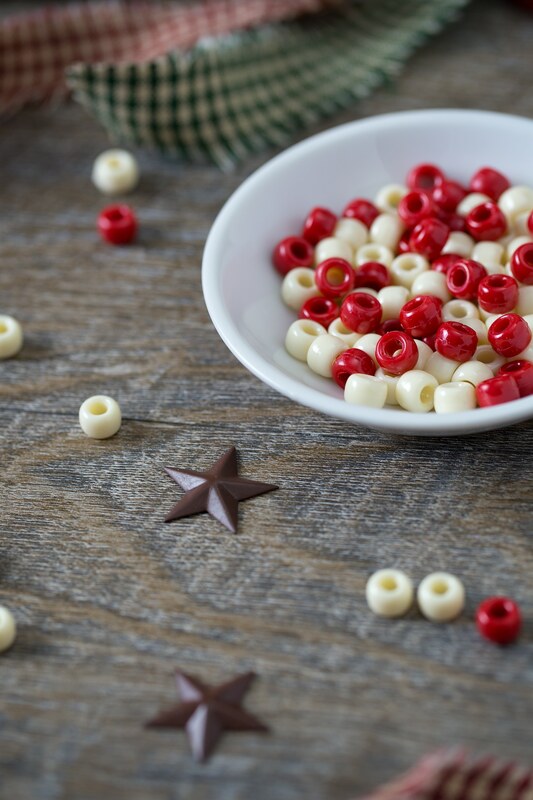 After gathering supplies, begin stringing the beads onto a pipe cleaner, following an ABAB pattern. 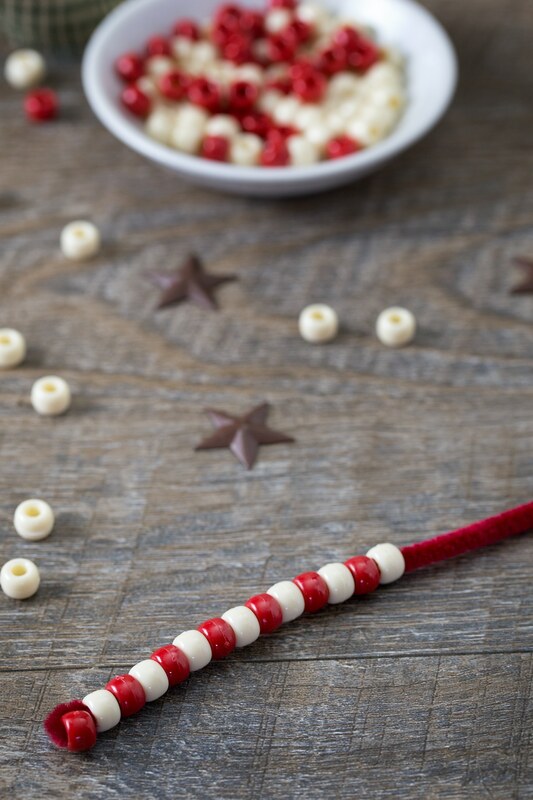 When your pattern is complete, curl the edges of the pipe cleaner over the beads on the end. 2. Cut a small slit in your fabric, then rip the fabric to create one long strip. 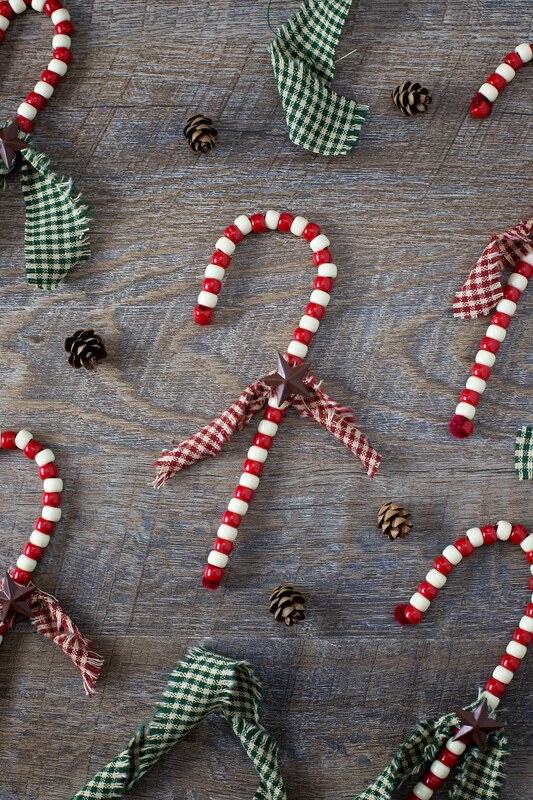 Repeat until you have enough for all of your candy canes. 3. Trim the strips into6 -inch strips, fraying the freshly cut edges by pulling out several strings. 4. 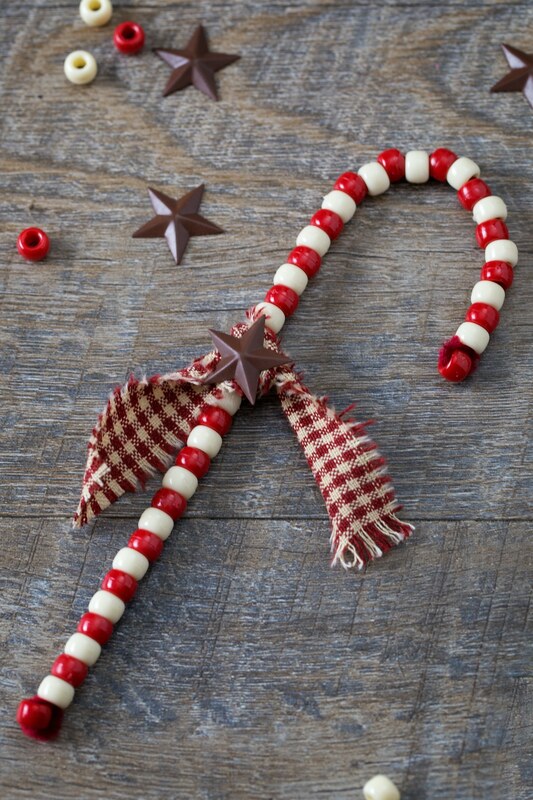 Tie the fabric onto the candy canes, then hot glue a metal star to the middle of each knot. Simple, beautiful, and sure to delight! 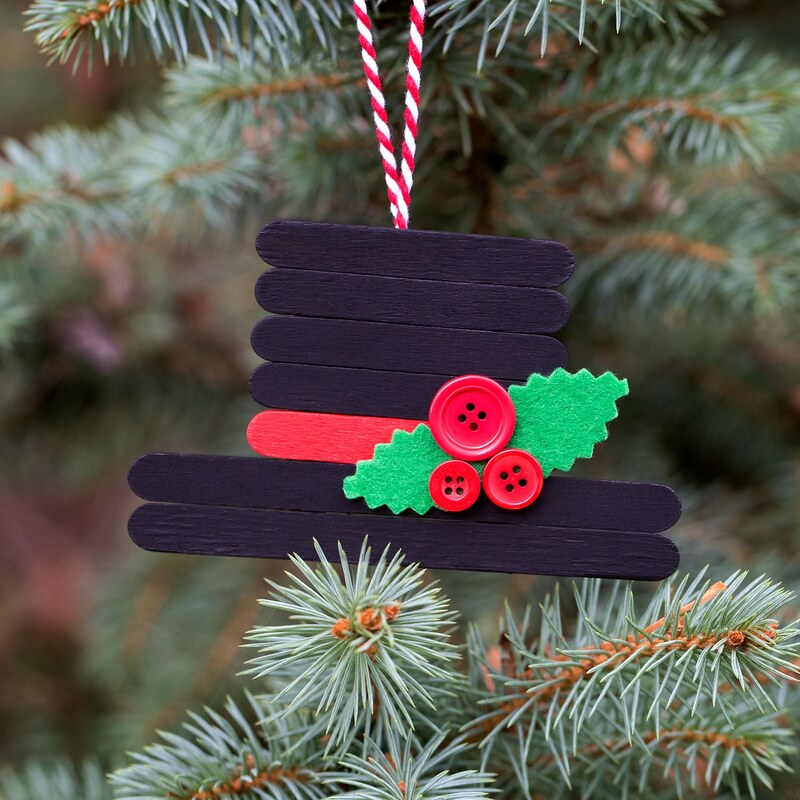 Don’t forget to save this craft on Pinterest for later! 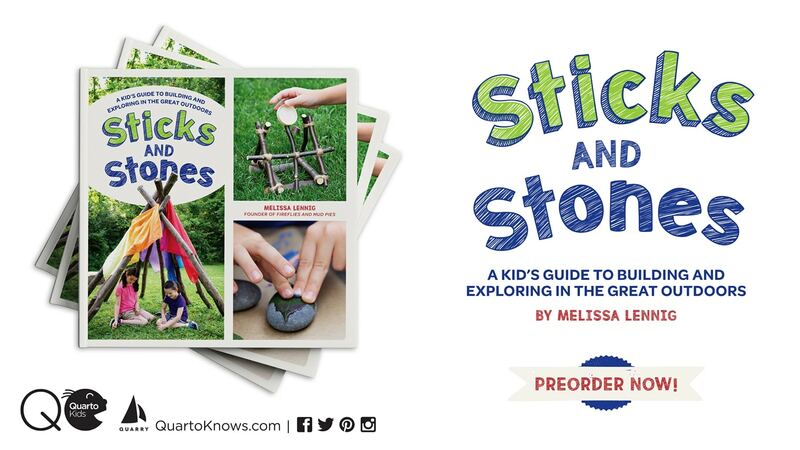 Be sure you are following along with Fireflies and Mud Pies here. 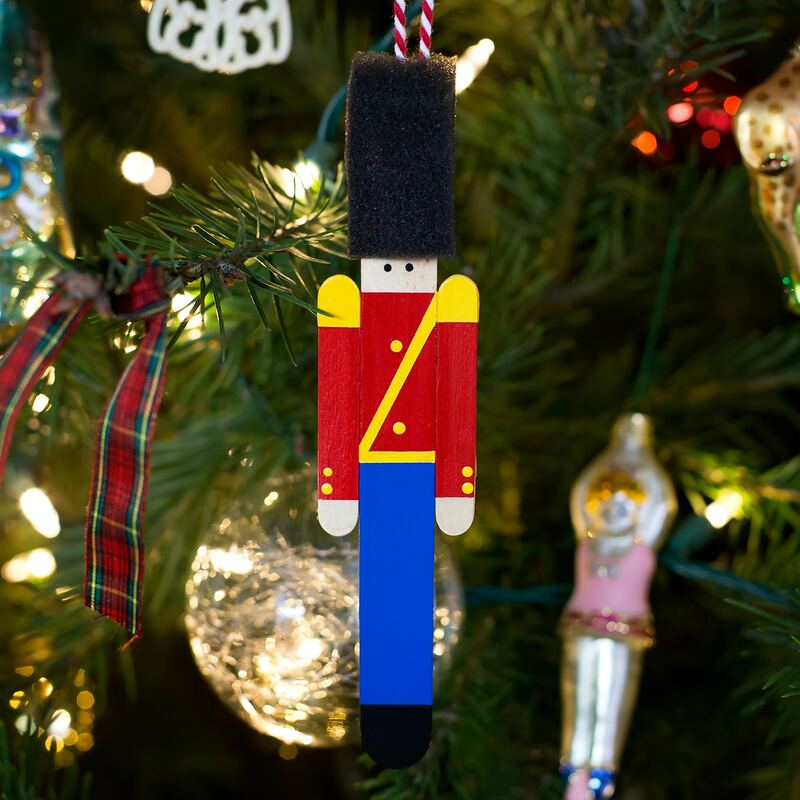 Click the images below to view more creative Christmas ornaments for kids.